Crowns are a tooth-shaped cap that is cemented over the tooth. This is used to strengthen and protect the tooth that was decayed or damaged. Crowns can also be placed on top of an implant to provide a tooth-like shape and structure for function. Bridges are used to cover gaps left by missing teeth. Upon removal, gaps that are left unattended eventually cause the remaining teeth to rotate or shift into the empty spaces. This usually leads to an imbalance bite, gum disease, and TMJ disorders. Composite Fillings are a tooth colored resin that is used to fill up small fractures or cracks in your teeth. 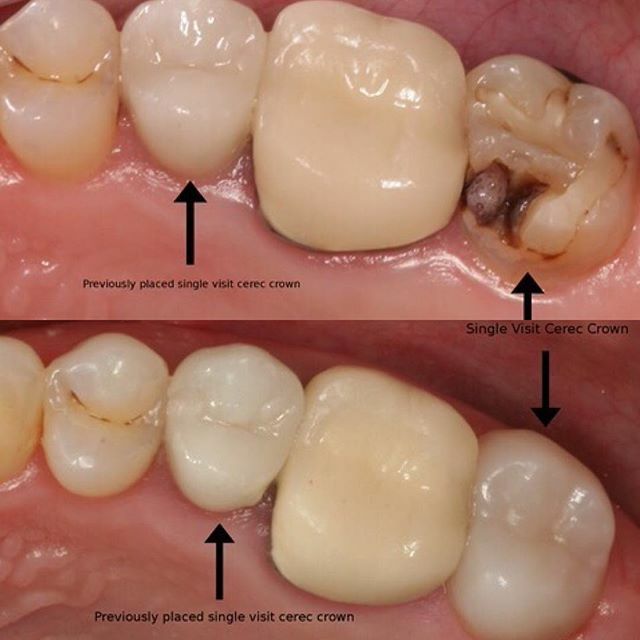 Composites look much more natural than traditional metal fillings. Same Day Crowns are performed using an in-office CEREC machine that mills strong, aesthetically-pleasing crowns in minutes while you wait. This technology makes it easier than ever for patients to discreetly restore teeth to a natural appearance. Veneers are a thin shell of porcelain or resin that is bonded to the surface of the teeth. This can change their shape, shade, and position to improve the cosmetics of your teeth and smile. Teeth Whitening a high powered yet comfortable bleaching gel, offers brighter, whiter teeth in less than 2 hour in the dental chair. 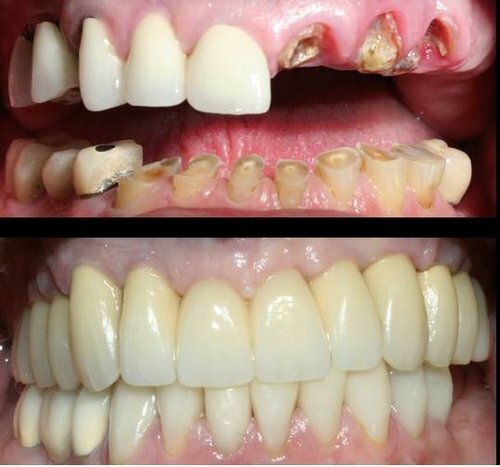 Full Mouth Rehabilitation produces a dramatic aesthetic enhancement as well as improves your over all oral health. Inlays & Onlays are lab-made restorations that are placed on your teeth when the cavity or lost tooth structure is too large to be restored by a simple filling. The process of making an inlay is very similar to a dental crown. After the tooth is prepared, it is cemented or bonded to the tooth. Dentures are appliances that are removable appliances that are used when there is missing teeth. Dentures help to restore your smile. Digital X-Rays are one of the most important parts of your regular dental treatment. Your dentist uses the specialized imaging technology to look for hidden tooth decay and can show dental issues such as abscessed teeth, dental tumors, and cysts. Only 1/3rd of your tooth is visible to the dentist without the use of X-Rays. Dental Exams are a checkup exam done by Dr. Ganesh to look at any areas of concern or to check overall oral health. By doing a exam the Doctor can identify any problems with your teeth before they escalate into a much more serious health concern. 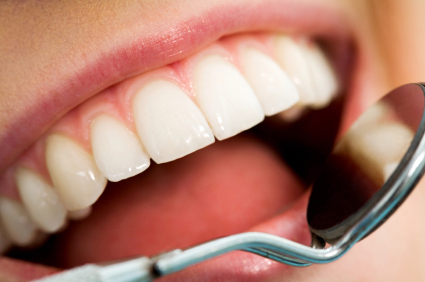 Prophylaxis - Is a dental cleaning procedure where your teeth are thoroughly cleaned to remove plaque and tartar. Fluoride is an important part of our treatment towards cavity prevention. Research shows that fluoride has a multitude of benefits, particularly in the fight against tooth decay. 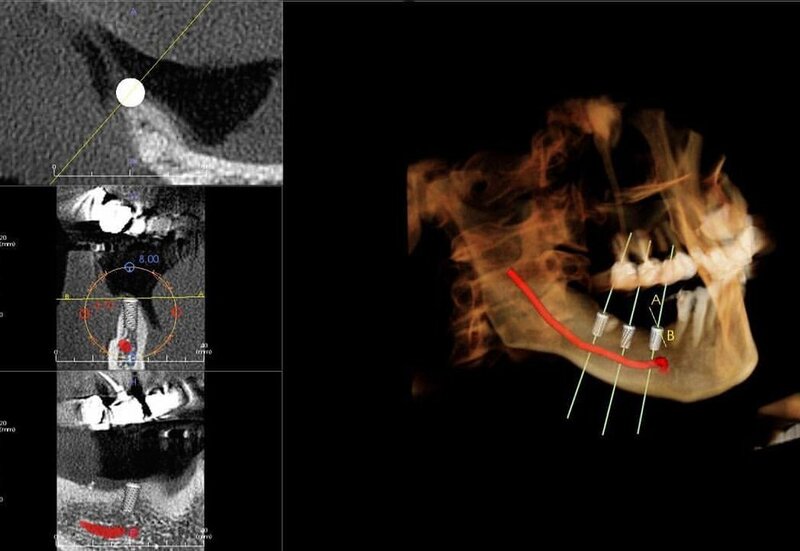 Cone Beam CT Scans give your dentist a more detailed view and 3-D view of your mouth. The Dentist can see the nerves, jaw and nasal cavities which allow for more precise treatment planning. Root Canals is a surgical procedure where the damaged portion of the pulp is removed. The area is cleaned, disinfected and then sealed. Implant is a metal fixture that is inserted into the jaw bone. Once inserted into the jaw bone it functions as a artificial root and allows the dentist to attach a denture or crown onto the "metal root". Wisdom Teeth & Surgical Extractions are performed with many surgical approaches such as bone removal, lifting and folding of gum tissue, and tooth sectioning. Surgical extractions, like simple extractions, are performed with anesthesia and/or conscious sedation. Extractions are performed on teeth that are visible in the mouth. This procedure commonly perform these extractions and are done merely with local anesthetic and with the option of anti-anxiety medications and sedation. Bone Grafting is the replacement of jaw bone loss due to injury or gum disease. Often times, if a tooth is missing, the associated bone will be reabsorbed into the body. In these cases, the corrupted quality and lack of available bone structure creates many future problems both functionally, aesthetically and constructively. Invisalign is a tooth-straightening system composed of custom fitted plastic trays that are designed to gradually move the teeth over time. Invisalign is a great alternative to braces in many cases. Nitrous Gas is also known as happy/laughing gas. 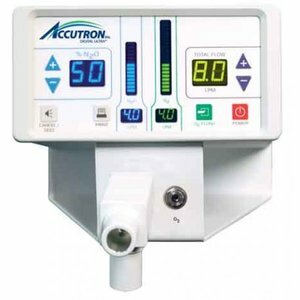 Nitrous is a sedation agent that is mixed with oxygen and delivered to you via a mask. Nitrous is used to make you feel relaxed and comfortable during your dental work. Sedation Dentistry at our offices depends on the extent of the work being done and the needs of the individual patient, we offer three different methods of sedation; Nitrous Oxide, Oral Sedation (Pill) and Intravenous Conscious Sedation. Sleep Apnea Appliances are used to combat airway obstruction. These obstructions cause you to stop breathing for up to ten seconds. The appliances work by pushing your tongue and lower jaw slight forward which allows the patient to have normal breathing. Microscope Dentistry has redefined the concept of visualization. It enhances the quality of the dentist's work producing more aesthetically appealing outcomes and long term health. Scaling & Root Planing is also known as a deep cleaning. Scaling and Root planing focuses on removing tartar buildup, bacteria and debris that is under the gum line. The treatment is split up into different quadrants and can be done in a single visit or over two. Sports Guard Appliances are custom fit to your mouth and can provide you with the best protection so you don't have to worry when you are playing sports.